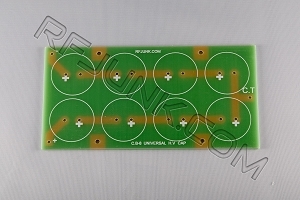 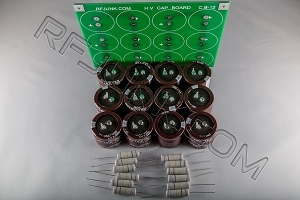 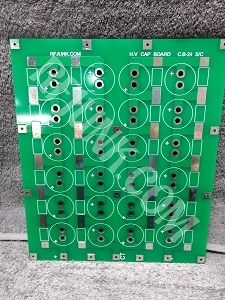 Universal High voltage capacitor board kit. 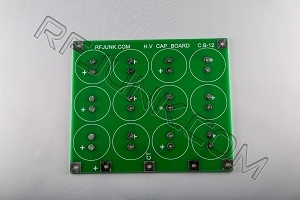 Holds 8 snap lock style capacitors. 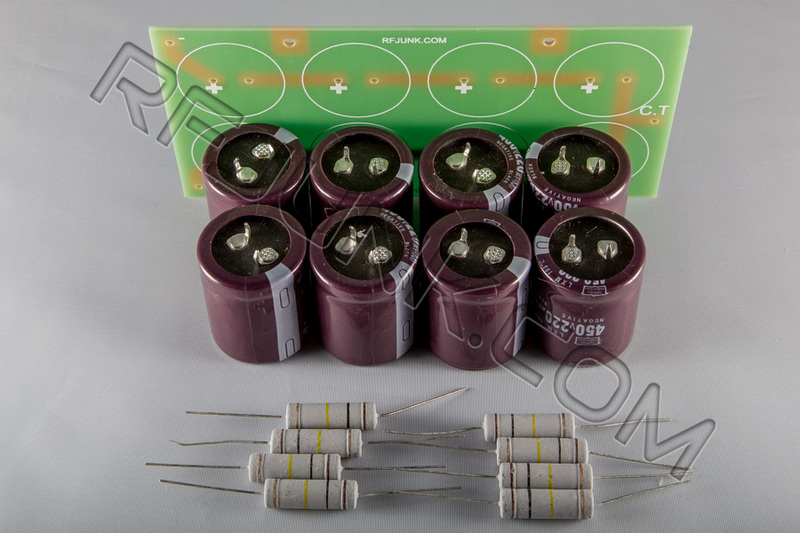 Comes with eight 220uf 450vdc capacitors and eight 100k 5 watt bleeders.